Scott Kay's beautifully designed Platinum Wedding Ring absolutely breath-taking. The stunning Semi-Mount is exquisitely detailed with enchanting bead filigree and 16 round brilliant Diamonds at .30 TDW, the perfect touch of radiant sparkle to magnify the brilliance of your personally selected center stone (Sold Separately). Not only will you be enticed by the superb craftsmanship of this lavish designer ring, but once you try on a Scott Kay ring you will be astonished by the substantial weight and quality! 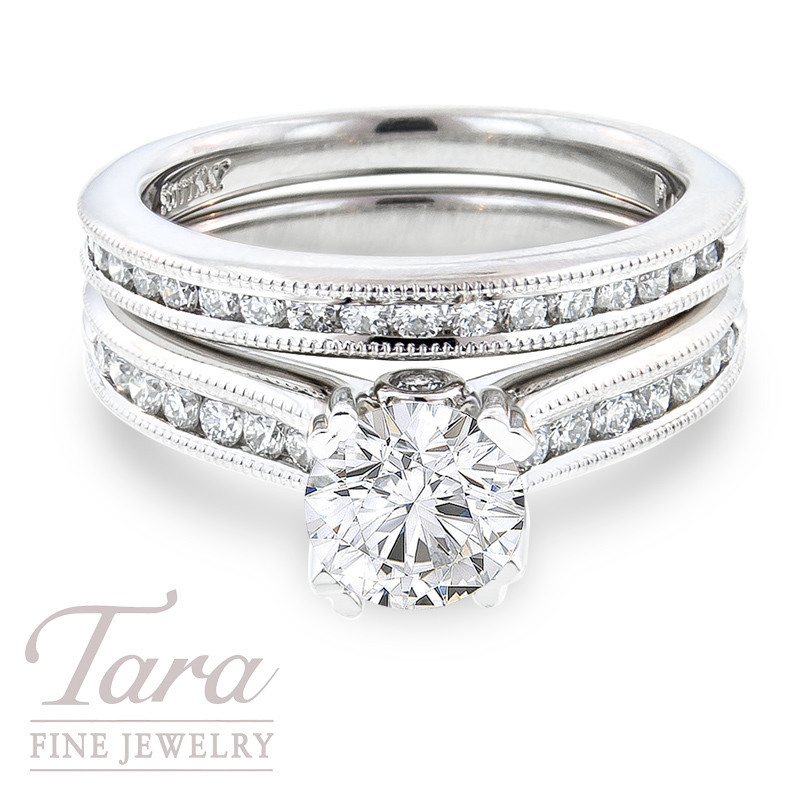 Complete with a matching Scott Kay band encrusted with 18 sparkling round brilliant Diamonds at .25TDW, this wedding set will have you smiling from ear to ear for decades to come! Tara Fine Jewelry Company proudly features Scott Kay and an exclusive collection of designer engagement rings in their showroom conveniently located in Buford, near the Mall of Georgia. Trust Tara Fine Jewelry Company for your next fine jewelry or Swiss watch purchase and enjoy the showcases of high quality diamonds and the impressive selection of Rolex, Omega, Tag Heuer and Breitling timepieces. These items are Special Order Items only. Please know that we would happy to order this Scott Kay Wedding Set for you! Give us a call today for more information on pricing and availability.